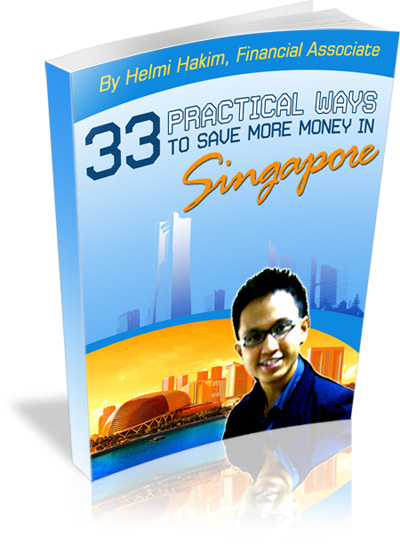 Change Your Finances With 5 Shariah Compliant Rules of Wealth In Singapore……. If you look through the feeds of your facebook, 1 theme seems to pop up. Yes. For the first time in the history of Malaysia, the rakyat have voted Pakatan Harapan to form a new government. Tun Dr Mahathir Mohamed returned back to politics as the 7th Prime Minister of Malaysia. And Dato Seri Anwar Ibrahim is now freed from prison. I have mixed feelings about the new political landscape in Malaysia. And I am not going to comment much. As some of you might have known, I have a mini ‘library’ in my house. And I just finished reading the book, “The Rules of Wealth by Richard Templar”. As I flipped through it, I saw many gems of info which can bring CHANGE. Can transform your finances for the better. Sometimes, when I meet my prospects, they tell me that they want to be rich. They want to be wealthy. They want to be happy. Yet, when I probe in further, I realise that quite a number of them have a negative money mindset. I don’t deserve to be rich. Money is only made by the greedy and dishonest. It is somehow better to be poor. In my mind, if you have negative beliefs about money on a subconscious level, it is difficult for you to be rich. You are self sabotaging yourself from not achieving financial success. You cannot be the things you don’t like. In fact, if you read about “Law Of Attraction”, you know if you think negatively about something, you will attract more negative things in your life. If you think Money is the root of all evil. You think money is dirty. You think you don’t deserve to be rich. You think money is made by the greedy and dishonest. Or you think it is somehow better to be poor. That is going to happen to YOU!! So what I want you to do is to CHANGE your negative money mindset to positive money mindset. I am prepared to put in the work. I am going to be wealthy and generous Muslim/Muslimah. Every step I take in my work is an ibadah. 9 out 10 doors of rezeki comes from business. The first step to achieving wealth is to change your money beliefs. I can give you 1001 shariah compliant financial strategies and concepts to grow your money. But if you have negative money mindset, it becomes difficult for me to help you. In The Rules of Wealth, Richard Templar mentioned for us to Understand that Wealth is a Consequence, not a Reward. It means as a consequence of you working hard at making money, you stand a better chance of becoming rich. ‘Man Jadda, Wa Jadda’ whoever strives shall succeed. After you make doa to Allah S.W.T. Devise strategies to achieve your goal. YOU HAVE TO TAKE MASSIVE ACTION and innovate yourself to success. There is no shortcut to financial success. You don’t get the money by a committee who examine whether you deserve it or not, whether you have been good enough or not. As Richard Templar said that we are paid for our ‘clever thinking’ and ‘hard work’. The harder and smarter you work, the more you will earn. There is a car cleaner in England who charges £5000 per car wash.
His name is Paul Dalton. His niche is in cleaning supercars. He did not get to charge £5000 per car wash by fluke. He is rewarded for his meticulousness. His savviness for selling his services. Years of experience and his courage for approaching high net worth individuals to offer his services. And not to forget, his clever marketing skills. As a consequence to his hard work, thinking and marketing skills, he gets to charge £5000 per car wash. Some people asked me, “Helmi. Some debts can be Good Debts. Some debts can be Bad Debts. This is because currently, there is NO shariah compliant financing facility in Singapore. To buy a house. To acquire working capital to run your day to day business operations. No Shariah compliant financing facility in Singapore. There is why I CHOOSE to buy in cash. And as a Muslim, I DO NOT WANT to associate myself with debts that includes riba (interest). “Allah has permitted trade and has forbidden riba”. That is why if I have a loan with interest, I target to clear it asap. I see Riba as chains to my leg that prevent me from realising my fullest potential. Reason being, when I make money, I want the baraqah that comes along with it. That is why, every single step in my financial planning process, I took great care to ensure that it is shariah compliant. Because we want to get baraqah. Blessings from Allah S.W.T. Let me share with you a little secret. If you always feel insecure. Always worry about something. Come back to Allah S.W.T. And especially when it comes to problems with your personal finance. Richard Templar says that we shouldn’t envy others, but LEARN from them. When he meets someone incredibly successful, he will do his best to find out how the person did it , and whether the method will suit him. This is an empowering attitude to have. Most of the time, if we know the level of hard work. All the sacrifices that these super successful people go through. We might not envy them much! In Islam, every one of us is BLESSED differently. Thus, there is no point envying someone else who is richer. When we envy others, we are counting other people’s blessings instead of our own. Allah S.W.T. said in the holy Quran, Surah An-Nisa, Chapter 4, Verses 32. “And wish not for the things in which Allah has made some of you to excel others. You must do the best that you can, using all your abilities and resources which Allah S.W.T. has given you. It is an amanah for you on this earth. After you do your best and if some people are still doing better than you in life. then you must make doa to Allah S.W.T. BUT never, ever feel envious of others who are doing better than you. You must have full belief in Allah that whatever you do. You will have reward of it from Allah S.W.T. The reward may be in some other way if it is not the way that you expect it to be. Richard Templar advocate having money mentors. I strongly agree with him. Above is a drawing that I always present to my clients and friends. There are 2 ways for you to achieve your goals. Your journey from Point A to Point B. With a mentor, he/she can guide you and will make the difficult journey EASIER for you. I hope you learn something from my sharing. My mantra in life is simple. “You have money. You don’t have money. The feeling…is different. Now… If you are seeking a mentor, coach, consultant to share with you practical aspects on how you can save, accumulate and grow your money the shariah compliant way in Singapore, I am always ready to help you. You can always whatsapp/sms me at 96520134 to schedule a FREE consultation. Or perhaps click here to schedule an appointment. You will want to schedule it asap because I can only accomodate 5 slots for this month of Ramadhan. Money, root of all evil?